CARLSBAD—A spinal cord recovery program, Project Walk, has just received certification to help patients with the ReWalk system — an FDA approved robotic exoskeleton that mimics walking for people with spinal cord injuries. 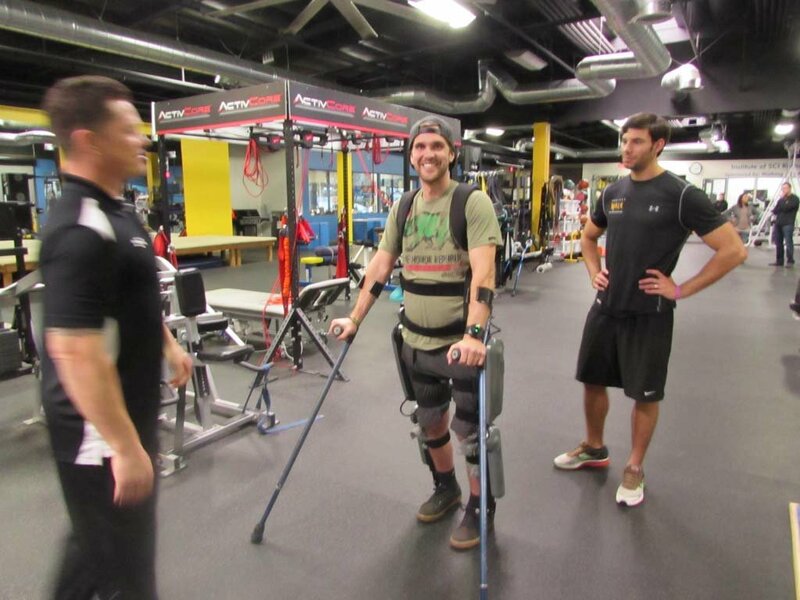 “ReWalk was just amazing in creating something that was actually usable. We brought it into our program because we love what it can do for people, the idea of them standing up and talking to other people,” Leah Malkinson, communications specialist with Project Walk said. The exoskeleton allows users, who would otherwise be confined to a wheel chair, to strap in and walk. The ReWalk has a battery life of about three and a half hours and tilt sensors, which sense which direction the user is leaning. Project Walk is a recovery gym that focuses on paralysis recovery through intense activity-based recovery. 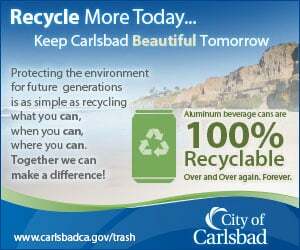 The company is headquartered in Carlsbad and has locations throughout the U.S. The trainers at the gym just underwent a three-day certification process in order to offer the ReWalk system to clients. Bruce Cook is a freestyle motocross rider and broke his spinal cord at the T11 vertebrae in an accident on the Nitro Circus Tour about a year ago. He just started training to use the ReWalk system. In order to purchase it, users must practice with supervision for 40 hours. “If people want to purchase one, they have to go through the process of learning to walk in one before they can be issued one,” Malkinson said. The exoskeleton costs about $69,500 and was approved by the FDA for home use in July. The system comes with a watch, which allows the user to control it, and arm crutches to help the user with stability. Cook said the crutches take some getting used to, and he’s focusing on learning the technique and balancing points. The trainers at Project Walk said Cook’s progress is great and his balance is above average. He’s still riding motocross and was on a bike a few weeks ago, he said. “It fits in very well with our program because if the individual just has a weaker core or a little bit of weakness in the upper body, that’s something they can work (on) with us for a month, two months, three months, until they gain that strength,” Project Walk Facility Manager Brad Giafaglione said. Each exoskeleton is custom measured to the user. There are some restrictions. People must be between 5 feet 2 inches and 6 feet 3 inches tall and must be individually evaluated. Some people who don’t have use of their upper extremities don’t make good candidates, Giafaglione said, although some companies are working towards making exoskeletons geared towards them. Giafaglione is hopeful about the progress of the exoskeleton. “This is something that’s going to change the world of paralysis forever. Who knows, 10 years or five years from now, people might not even be using chairs anymore,” Giafaglione said.